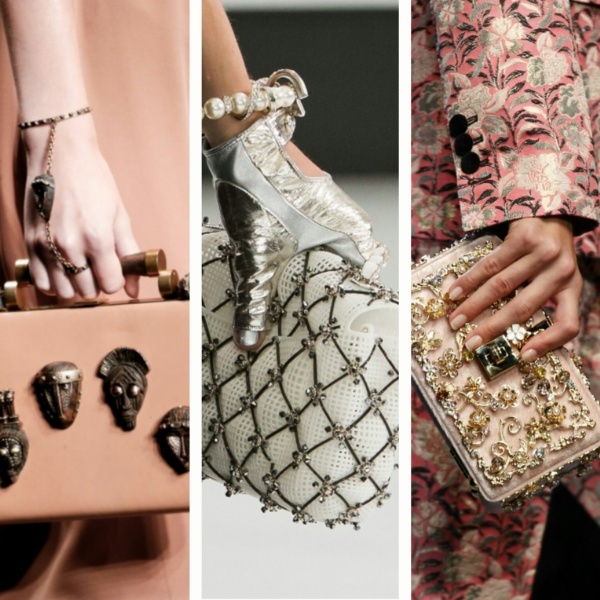 If 2015 saw the rise of very imaginative bags of various shapes and forms, this year the focus is more on details like textures, decorations, and hardware (or lack thereof). Backpacks made a huge comeback while clutches subsided giving way to function and interesting handles. Mini bags and small bags are big this year. The long narrow designs that look like they’d only fit a phone are stylish and modern. There are also small crossbody bags that can be used as clutches. 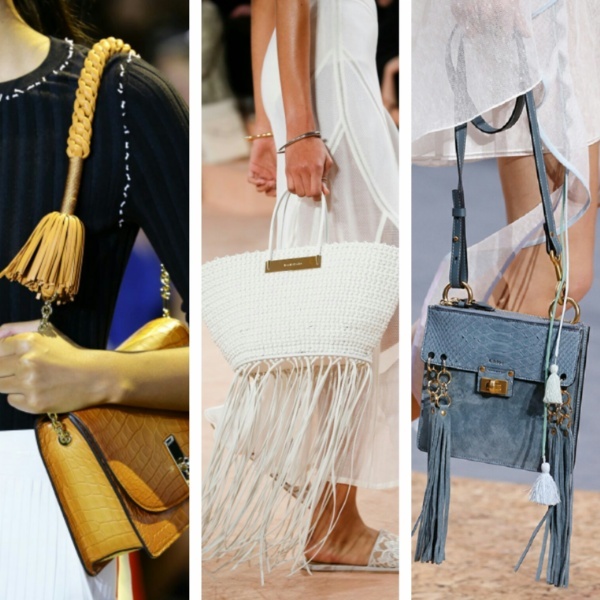 Tassels and fringe trascend from last year’s clothes into bags. 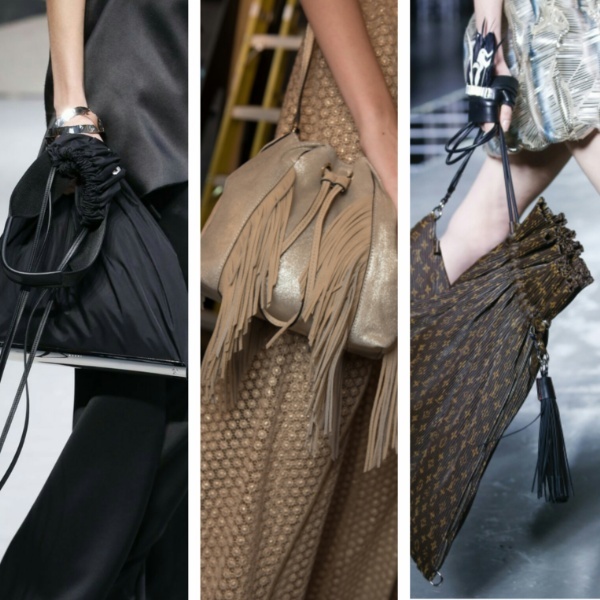 Tassels are long and dramatic as is the fringe. Drawstring bags will be trending for another season. And the drawstring backpacks are coming back. Decorations are abundant in Spring 2016 bags. From simple metal studs to intricate metal work, braided leather, and patchwork the bags reach the status of arttwork. 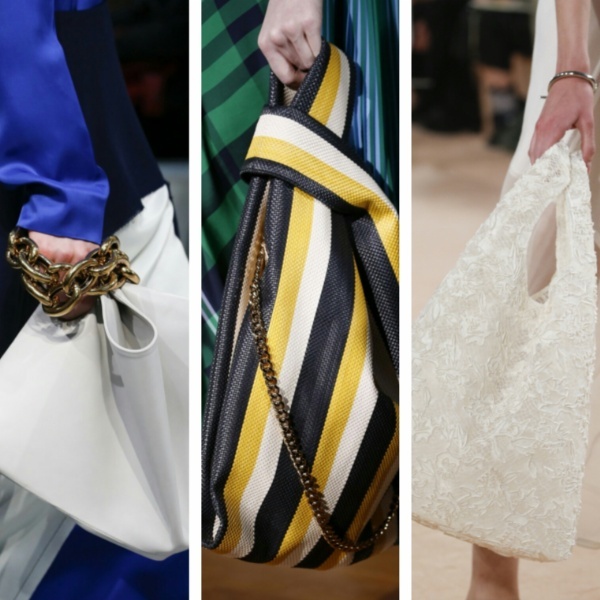 On the other hand minimalism lovers will be happy with spacious hobo and soft bag trend. 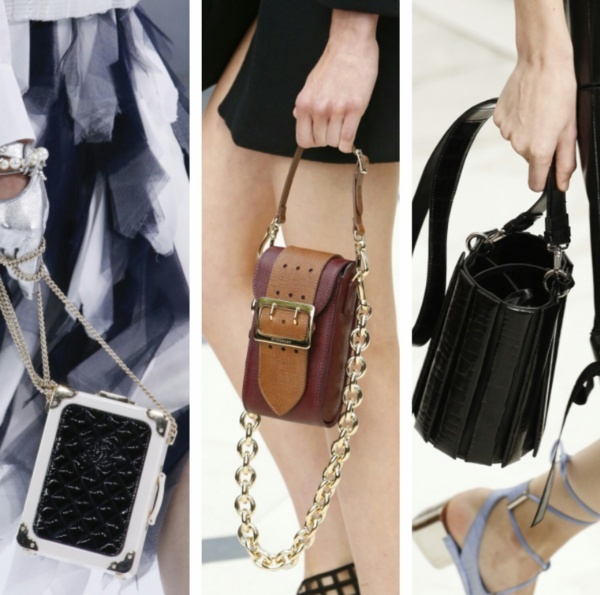 Many designers went for soft leather bags on a chain or without any hardware at all.